From association management to conference and event planning, Cathy provides knowledge, years of experience and expertise that creates great value for our clients here at KCA. Her critical thinking, strength in strategic development, and attention to detail help make her a strong asset to making client events successful and associations succeed. 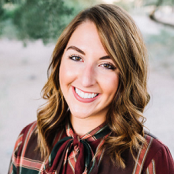 Cathy is a graduate of Arizona State University and comes from a background in Public Relations and Marketing. Cathy fits in everywhere she goes and her clients so enjoy her. Fun Fact: Cathy’s favorite time of year is football season. Go Cowboys!